By Mark Z. Yamamoto, D.D.S. TMJ therapy can be very complicated. It can involve chiropractors, physical therapists, orthopedic surgeons, and of course, dentists. The majority of dentists are currently being taught to treat TMJ problems with many differing types of splint therapy. The theory of the occlusal approach to TMJ therapy is that whether or not the splint is successful, the occlusion must be restored properly if long term success is to be achieved. Success means that there is a reduction in popping and clicking and total relief of pain. Restricted opening and deviation upon opening should be corrected. In most instances bruxism is greatly reduced or totally eliminated. In many patients headaches subside and in a few cases hearing has improved. 1. Splints must be considered as only temporary treatment. 2. A. Pathologic orthodontic movement of the teeth, e.g. extrusion or intrusion. B. Pathologic opening of the bite. A. Be sure no back or neck displacement exists prior to initiation of treatment. B. Be aware of other pathology such as arthritis or internal derangement of the joint itself. 4. No matter what treatment modalities are involved, the patient must end up with Centric Occlusion and Centric Relation Coinciding without protrusive or lateral interference of the posterior teeth. 5. This condition is most accurately achieved with mounted study models. Thorough knowledge of the principles of occlusion and the ability to accurately apply these principles will enable the practitioner to finish a TMJ case and have a good long-range prognosis. I cannot overstate the importance of mounted study models. As a gnathologist, I have been mounting my study models since 1973. There is no substitute for the wealth of knowledge gained from mounted study models. Centric prematurities, centric slides, lateral and protrusive interferences are revealed in 3 dimensions. In most cases the mounted models can demonstrate how the head of the condyle comes out of the fossa when lateral or centric interferences occur. Hand-held study models can really fool you. I have tried to go without mounting the models on some occasions, only to have to go back and correct myself. The problem with current TMJ therapy is that most of the focus for treatment is on the joint itself. Many practitioners insist on elaborate and expensive series of x-rays, tomograms, and/or MRI. A mystique has been created. Some dental students referred to their school TMJ clinic as the “Voodoo Clinic”. In reality the closed view plus the submental vertex will be more than enough to discover any bizarre pathology and/or the need for more extensive radiographs. The error is that the painful joint is not the problem. The painful joint is the result of the problem, which, in most cases, is a malocclusion. Splints are a temporary effort at giving relief of symptoms, but they are not the answer for long-term therapy. In cases of over-opened bites, they can even be harmful. When splints are successful, they have compensated for a malocclusion. But what happens to the patient when the splint is removed? They are back to “square one”. can cause a temporary misalignment of the jaws. However, in my personal experience in 19 years as a general dentist, the bizarre possibilities are greatly outnumbered by the more common realities of malocclusion caused by nature or by dentists. As a practicing dentist I see very few ideal occlusions in my patients. However, most patients don’t have TMJ problems. It is when the malocclusion is coupled with trauma that symptoms begin to occur. Whiplash, falls, “knuckle sandwiches”, abnormal habits, and/ or stress with clenching can start a TMJ or myofacial pain process that requires accurate correction of the occlusion for successful long-term treatment. Patient “A” had full upper against a natural lower. After a whiplash during an auto accident, she had TMJ pain, headaches and dizziness for years. Occlusal analysis revealed an open bite and a lateral centric slide to the right. She had 7 dentures made in 4 years. Correction of the centric and closing of ther vertical to 3mm past the rest position corrected all the symptoms. Patient “B” was struck in the chin while playing with her child. She had pain in left and right TMJ. Occlusal analysis revealed a nearly ideal occlusion. Patient “C” was a dental hygienist who developed TMJ with no apparent cause. Occlusal analysis revealed an excellent occlusion. Both Patients B and C were sent to a chiropractor without receiving any dental treatment. The chiropractic therapy gave relief of TMJ symptoms. Misalignment of the neck and / or upper back had caused the jaws to go out of normal alignment. Patient “D” had been treated with a “rest position” splint. It moved her jaw forward. It worked for 2 months, then the pain returned. She then went to the White Memorial Hospital TMJ clinic. Their splints were of no help. When she came to me I did an occlusal analysis and a full mouth occlusal correction. It took 2 appointments and in 10 days all symptoms were gone. In conclusion, I would like to state that this technique is not new. I had been taught in my gnathologic study group to do occlusal analysis with mounted study models. Our method of occlusal correction has been taught to us by Charles Stuart. Charlie said, “The mandible in tooth contact with the cranium should be a suspension and not a lever. But when it becomes a lever, the fulcrum induced by malocclusion strains the jaw joint, the periodontium and wears the teeth.” Gnathologists using this approach have had the same high degree of success. Phil Taylor of San Diego has written a fine article about this technique in the Journal of Gnathology; Volume 6. number 1. Our teacher, Gustav Swab, refers to a splint as “an orthodontic appliance that intrudes teeth.” Please keep in mind that I have questioned many dental technicians as to how they fabricate their splints and what directions the doctors give when prescribing a splint. In most cases little or no instructions are given. No face-bow is taken. Few models are mounted. Too many dentists are relying on the technicians for an easy solution to a complex problem. There is no easy way to learn occlusion. It is one of the most complex aspects of dentistry. It must be done very accurately or it is worse than no treatment. I am in my sixteenth year as a gnathologist and I am still learning. Just remember that if you have a patient that has successful splint therapy, your work has just begun. And if your splint therapy has not been successful, consider the occlusal approach. EDITOR’S NOTE: Dr. Yamamoto graduated from Loyola University Chicago, in 1969. 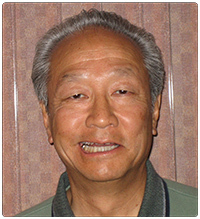 He is a Master of the Academy of General Dentistry and is in private practice in Huntington Beach, Ca.